Medieval ceramics relating to the earlier phases of activity – this assemblage is dominated by what is in all probability a locally produced redware fabric, and as with the 2013 season there are variations in these Redware fabrics which may suggest that some were produced elsewhere in the northeast of Scotland; there is also unprovenanced Whitewares, imported Yorkshire and Scarborough Type Wares, Low Countries Greywares, Low Countries Redwares, Low Countries Highly Decorated Wares and three sherds of Rhenish stoneware (Langewehe and Raeren). The medieval material would appear to be tightly dated to the 13th/14th centuries, although some of the Redwares may have been used in later periods. 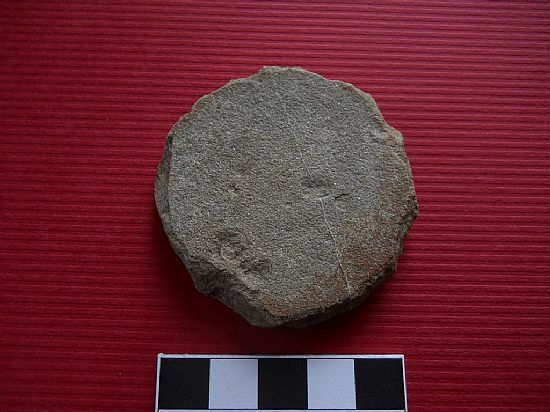 There is also a small but important group of probably handmade ceramic sherds that appear to be in a reduced or burnt iron rich fabric with similarities in construction to wares from nearby Portmahomack, although this needs to be confirmed. 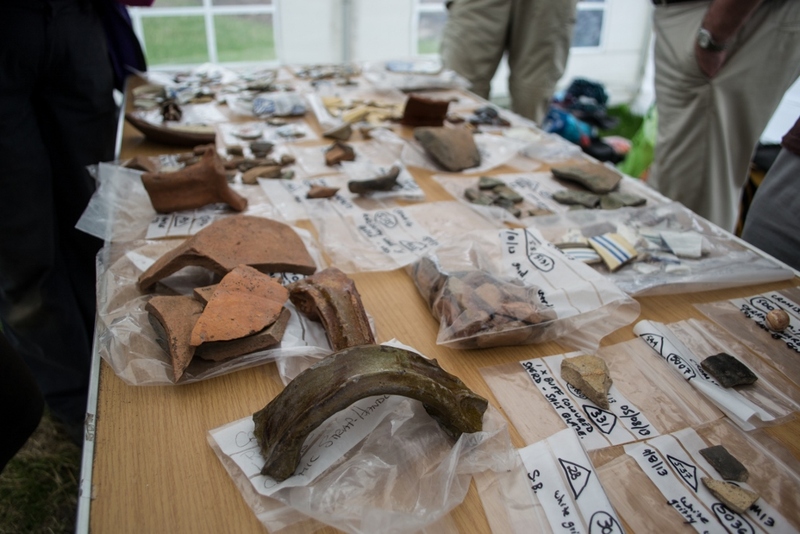 A selection of ceramic finds from the site, with a medieval jug handle in the foreground. 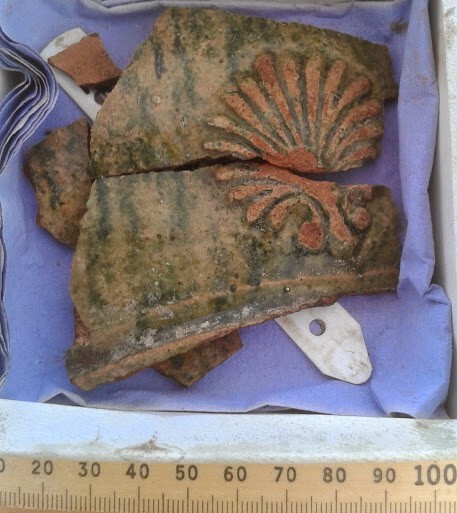 Imported medieval pottery from the Netherlands with distinctive scallop shell decoration. Found during the 2014 excavations. Of particular interest on the site is the growing evidence for a fishing economy in the Burgh of Cromarty based primarily on Cod. This fits in with evidence recovered from other East Coast burghs from Scotland into England. 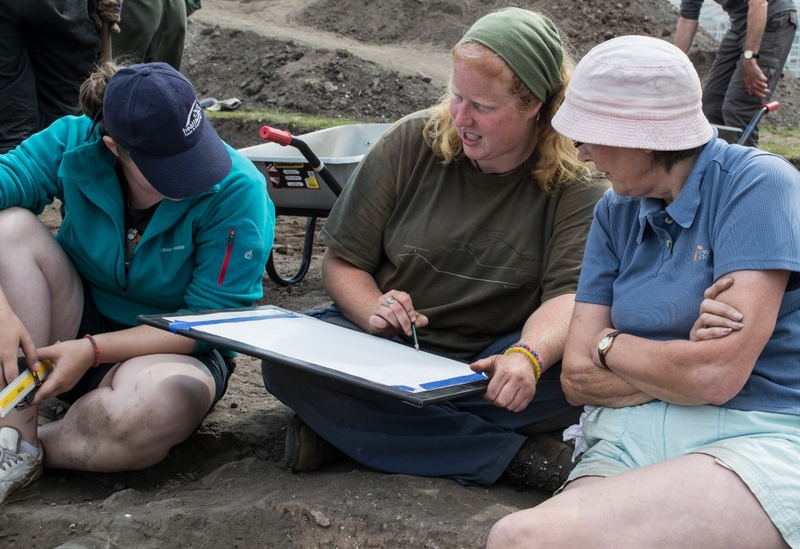 Along with the fish bones and shellfish remains (bait middens) we have found a growing number of iron fish hooks and a significant number of stone discs, which may have been used as net sinkers; the stones fitted into pockets within the nets as they were cast over the side of the boats. However, further research is required to provide a definite function for these enigmatic objects. 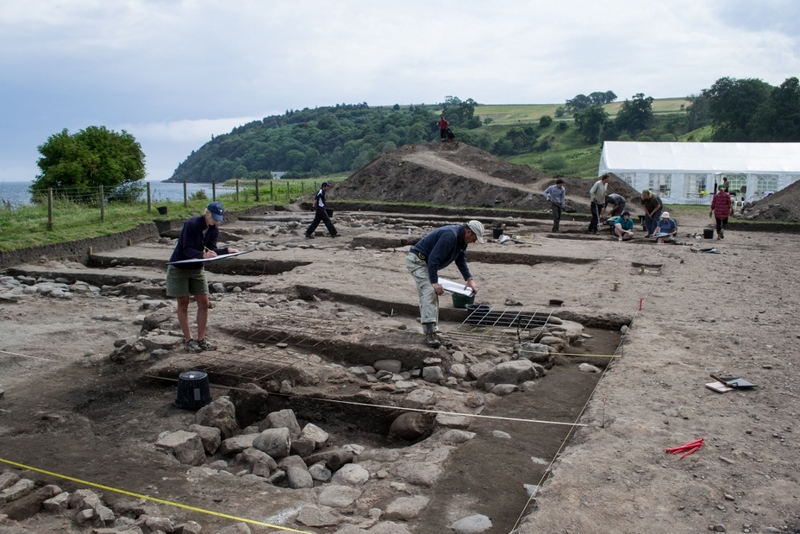 The Cromarty Medieval Burgh Excavations recommence on Monday 29th June for 2015 season. Visit the website for more information. See here for an overview of the project 2013 – 2016. Hard at work at Cromarty. 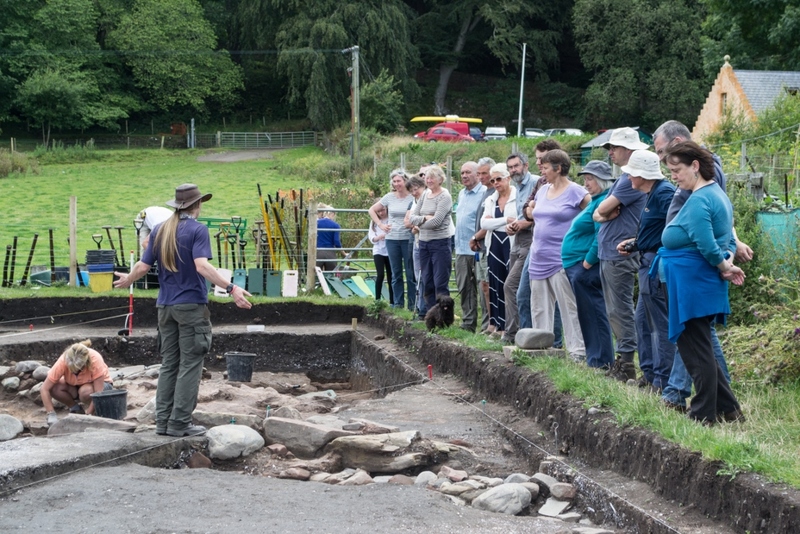 For a volunteer’s perspective on the 2014 dig please see our earlier blog post.